News Song Joong Ki: Actor Has Another Lover Apart From Song Hye Kyo! Song Joong Ki: Actor Has Another Lover Apart From Song Hye Kyo! True love is a gift of God and to find it in a lifetime is not only hard but also enticing in plenty of ways. When it comes to finding love in the entertainment industry the path of finding love becomes more glossy, controversial, serious and sometimes scandalous. Same is for our beloved star Song Joong Ki who has stayed in the news for his charm, stupendous acting skills, and contentious love life. 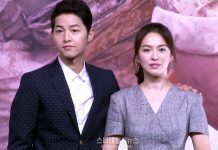 The Descendants of the Sun actor is supposed to be or rumored to be in a relationship with her on-screen partner Song Hye Kyo. Though both the actors have denied the rumors but to fans, and we agree, they seem to be in love. Their chemistry is evident. 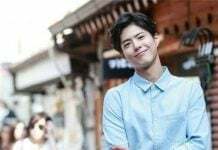 But seems like, glass is half empty for Song Joong Ki, as the actor has found new love or bro love in Lee Kwang Soo as reported by iTechpost. Both the actors have been working together in the movie, Battleship Island, and initially met in the series, The Running Man. 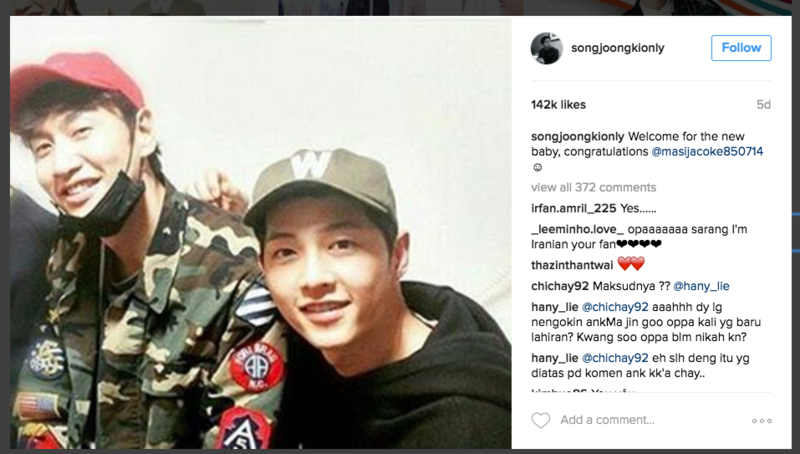 When Lee Kwang Soo’s sister gave birth, then Song Joong Ki went to the hospital to visit and even posted a picture of the moment. They both are like family friends and doesn’t shy from visiting each other’s home unannounced. News also surfaced that Lee Kwang Soo visited Song Joong Ki’s house and his (Song Joong Ki) mother also cooked food for him. That’s bro love and we are more than happy to see it. Well, we love the bonding and are elated to find that there bonding is blooming as it is rare to find it. Stay tuned for more information, we will be updating this space.